Other than the excellent Glutino brand, I’ve never seen another GF pretzel before. 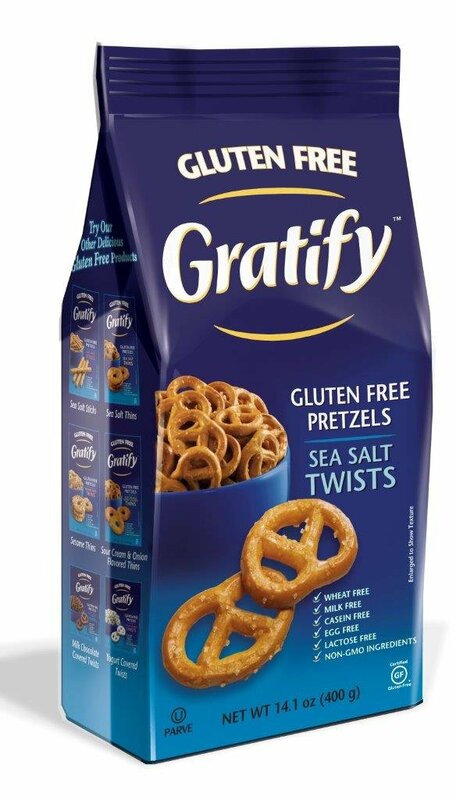 These Gratify Gluten Free pretzels were picked up at MetFood for $2.99 on sale. The packaging is fantastic. The lovely blue makes you think velvet or at least something decadent. I’ve already bought a backup bag. They don’t have a store locator just yet, but if you can’t find them nearby, here is their Amazon link.